I have decided that my 'try something new' for this year will be the Rainbow Scrap Challenge so I am slowly getting my head around this idea. For now this means digging out every last little bit of blue and discovering that I have less scrap than the overflowing carrier bags would lead you to think. This is probably because I usually piece my backs using leftovers from the front of a quilt. However I've got enough blues to be getting on with (even though I've been hacking into them for my Quilty 365 circles). I want to use up my smaller bits, so for now have been cutting wee squares and pairing them up. I think I know what next, but need to try it out. I'm clearly a bit slow off the mark here, but if you check out the linky party at So Scrappy there are plenty of people already up and running! It is fun to find lots of different blue fabrics. I look forward to seeing what you make with your blues. Digging in and starting to sew is a great first step. I've been having fun pulling out bits for 363 circles as well, such a fun way to pull out odd bits and let them play. Welcome to the RSC, Kaja! I've found it a good way to use up some of my scraps each week. So pleased you decided to join in! I only began on my projects yesterday so I'm a little behind too. Enjoy the fun! Looks like you've got some good blue to play with! I'm still digging and have not started sewing blues yet. That's the great thing about this challenge - no pressure. Welcome to the RSC!! Last year was my first go round and I found it to be SEW much fun!! Enjoy the Rainbow Challenge, Kaya. I find it a great incentive to organise my scraps. You are off to a great start. The thing about scraps is that we are always making more and the more I dig into my scrap bins the more I find! 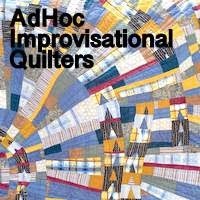 There are so many beautiful quilts that have come about because of the RSC. No worries about starting slow. It sometimes takes a few tries to find just the right block or approach for your scrappy effort. Just don't be surprised if a block takes off and turns into a whole quilt in a matter of a few weeks! Look forward to seeing how you use your scraps - I am sure it will be wonderfully creative! Slow or speedy - it is all about the process of playing with our scraps. NO worries! An end in sight - definitely!